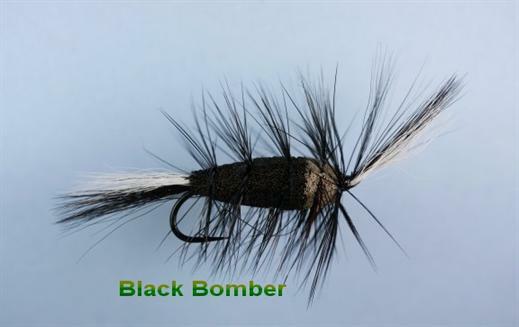 The Black Bomber is one of the Bomber series of flies that are peerless for Atlantic Salmon. This pattern is an exceptionally exciting skating dry fly. When in Alaska, don't neglect skating for dollies. Drift a Bomber over the top of a bunch of dollies and get ready for surface explosions. It is also very good for steelheads in Russian waters. Currently there are no comments about the Black Bomber fly pattern from other fly fishermen yet.